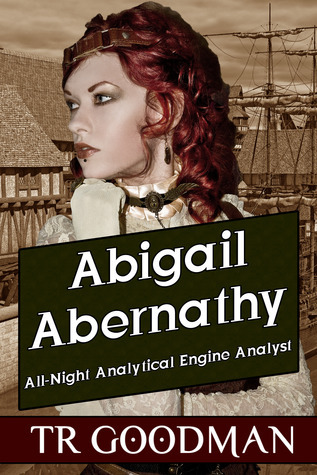 Abigail Abernathy: All-Night Analytical Engine Analyst is a steampunk short story about 5,000 words in length. This was a very interesting little story. The setting was believably Victorian with the social norms of that period accurately portrayed. The characters were all unique and . . . well, likeable is probably the wrong word for one, but I guess he was likeable as a character, if not as a person. The plot was intriguing, and certainly not quite what I was expecting from the beginning. But perhaps the best part were the problems she had to deal with that weren’t related to the main plot, problems that I’m pretty sure anyone who’s ever worked in tech support or similar, or knows anyone who has and has heard them ranting, can identify with . . . except steampunk era style. There’s not really much else I can say about this story, since it was only 5000 words. One of these days I’ll get around to buying and reading it’s sequel.